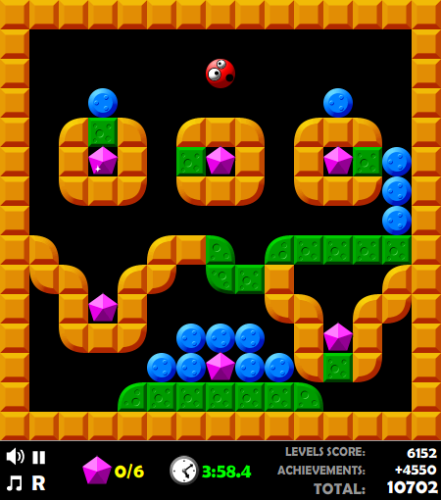 Description Arcade logical puzzle game with gravity. New monsters and new type of crystals added in new version. Now with level editor and extra user generated levels! Collect all diamonds to complete level. Dig through green tiles and don't let stones and diamonds to fall on your head. Controls Use arrow keys or WASD to move, dig through green tiles, push stones, collect crystals and avoid monsters.